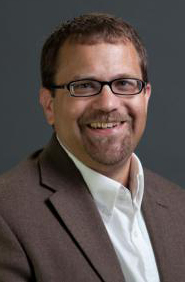 Dr. Jared S. Burkholder is chair of the Department of History and Political Science at Grace College, Winona Lake, Ind., where he also serves as associate professor of American and World History and specializes in American religious history. He has published research on the history of American evangelicalism, eighteenth century Moravian communities, and Anabaptists in North America. Dr. Burkholder teaches courses in American history, politics, religion, and the Middle East. He has traveled and researched in Europe, led a group of students on a study tour of Mexico, and is engaged in various writing projects including co-editing a history of Grace College and Seminary entitled Becoming Grace (BMH 2015). He and his wife, Connie, are originally from Pennsylvania and have three children. He enjoys do-it-yourself home projects, restoring antique clocks and traveling. Follow Dr. Burkholder on Twitter at @jsburkholder. He also blogs at The Pietist Schoolman.